Home / Media / Text / Excerpt from “The Beekeeper” in World Literature Today! Excerpt from “The Beekeeper” in World Literature Today! Iraqi-born writer Dunya Mikhail’s forthcoming book, The Beekeeper: Rescuing the Stolen Women of Iraq, is dedicated to Abdullah Shrem, a young man from Sinjar, Iraq, who worked with smugglers to rescue dozens of his fellow Yazidis from ISIS captivity in Syria and Iraq between 2014 and 2016. Most of the book consists of horrific stories of Daesh brutality toward the Yazidi people, but the following excerpt focuses on Mikhail’s return to Iraq in 2016, where she met Abdullah in person. Twenty years after leaving Iraq on a one-way ticket, I returned to my country today, on May 27, 2016, not so much to visit the living as to visit the dead. We, the people of Baghdad, used to refer to the north as a “resort”—it was our only tourist destination when travel was forbidden during the 1980s on account of the Iran-Iraq War. But this isn’t tourism today. We came to visit the mass graves, perhaps to bury our feelings, too, and to get rid of their weight upon our souls—or perhaps because they needed us, they needed us so much and yet we didn’t go! Or because we’re alive, and we can, quite simply, visit the dead. But the one survivor I most wanted to see was Abdullah. I asked him if he was busy that day with a rescue operation. He said that he was. “May I come with you?” I asked. We drove almost forty miles, along winding roads to the east of Dohuk, toward Sheikhan. The temple looked small from the outside, but as soon as we entered, it opened up to infinity. We walked in barefoot like the others did, because “there should be no barrier between the foot of the entrant and the temple’s floor.” Our feet touched stones that were over four thousand years old; another world opened up right before our eyes, in the depths of the mountain, somewhere between myth and reality. The narrow pass, surrounded by three mountains, gradually opened wider, revealing all that it had, like the generosity of its people, but sometimes it also closed in on itself, like the Yazidi religion. Our feet touched stones that were over four thousand years old; another world opened up right before our eyes, in the depths of the mountain, somewhere between myth and reality. As we entered a courtyard, there was a man sitting with a little sparrow in his hand. Abdullah introduced him as Luqman Sulayman, “public relations guy for the temple. If you have a question, he’s the best person to ask. 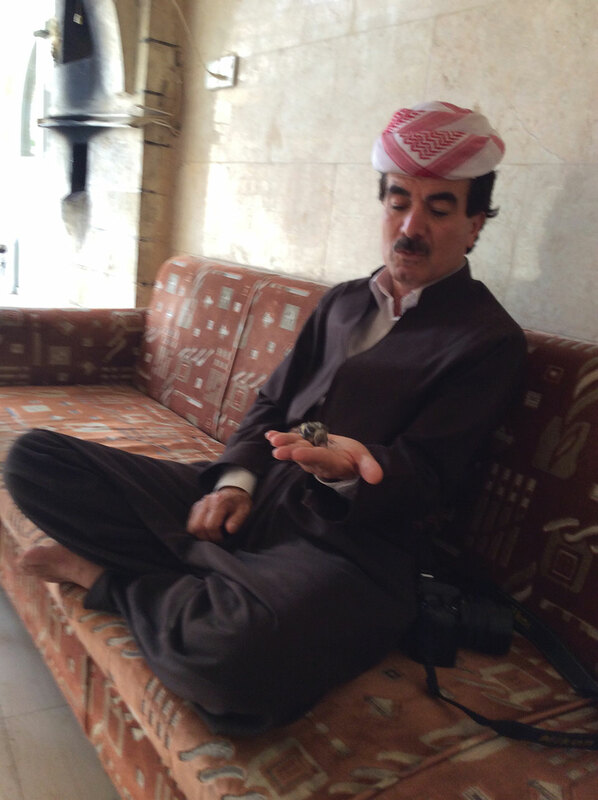 Abdullah asked Luqman to let me enter the sacred places that are typically forbidden to non-Yazidis. “She came all the way from America to visit Lalish,” Abdullah said. I didn’t understand Luqman’s reply because he spoke in Kurdish. It seemed to me that he wasn’t going to allow it, but he did kindly invite us to have tea. I would soon enter into those places without knowing they were “forbidden.” Abdullah didn’t seem to notice, or maybe he forgot, or simply didn’t follow the instructions. Whatever the case I was pleased to be given those additional secrets without even realizing it. “Careful, you can’t walk on the thresholds. You have to cross over them,” Abdullah reminded me. I didn’t count the number of entrances; it seemed to me that each of them told a story of the age. The entrances were so low that even a short person like me had to hunch down to get inside. To the right of one of those entrances was the snake of Noah, which is considered sacred by the Yazidis because it’s said to have saved mankind when it curled itself up and plugged the hole that had been punctured when Noah’s ark collided with a rock during the flood. You pass from one cave into another, as if history is sleeping and you are inside its eyelid. I noticed colorful pieces of cloth tied around columns in one of the caves. Abdullah nodded at me encouragingly as I untied one, making a wish as I retied it: wishes are supposed to come true when another visitor comes to untie it. I glanced at Abdullah and saw that he was doing the same thing as me. Abdullah explained that the olive oil in those pots was used to ignite wicks, and that Yazidis celebrate the New Year in Lalish by lighting 365 lanterns, to usher in the New Year with light. Next Abdullah picked up an untied medium-sized cloth, then stepped back a ways, closed his eyes, and threw the piece toward a stone outcropping at the top of the cave where there were already many other pieces of cloth. “You have to do the same thing, for good luck,” he told me. I imitated his motions but didn’t succeed. My piece of cloth didn’t land in the desired place (I’m the worst basketball player in the world), but he insisted that I try again. “You have to close your eyes, and imagine the target,” he reminded me. I succeeded on the third attempt. He probably didn’t notice that I’d opened my eyes a little bit. We went deeper into the cave until it became completely dark. Abdullah turned on the flashlight on his phone and raised it up to illuminate the place. I was very grateful for this person who sanctified light. We reemerged from the darkness and went into another cave. On either side there were very old stone pots. Pointing toward them, Abdullah explained that the olive oil in those pots was used to ignite wicks, and that Yazidis celebrate the New Year in Lalish by lighting 365 lanterns, to usher in the New Year with light. Their New Year’s Day falls on the first Wednesday of April. They call it Red Wednesday because people put red flowers on their doors. “Did those rituals change after Daesh invaded?” I asked Abdullah. “We still light the lanterns because they give us a sense of hope. But we cancelled all the musical festivities until people can return to their homes,” he replied. We went down several steps, descending into a deep cave there; there was a spring called Zamzam, whose waters branched outside the cave. I drank from it just as Abdullah did. He said it was considered the freshest water in the world. He didn’t tell me then that the sacred water was for Yazidis only; it had something to do with their baptisms. Just a few steps away was the tomb of Sheikh Edi. Leaving Lalish, I looked out the car window at a tree, its branches so colorful with all the pieces of cloth tied around it as wishes. How many of those wishes will come true? And how many of the missing will return? When we came out of the spring, some men and women were sweeping the floor. “There are always volunteers here cleaning the temple,” he said as I glanced at a broom on the wall. I was embarrassed to leave like that, so I volunteered to sweep a little bit. eight-pointed star, which represents the goddess Ishtar (Inanna), the circle inside the circle, the ornamental square, the sun disk, the palm tree, the sparkling pot with water flowing from both sides, and also the wings drawn not only on birds but on humans as well. The special bird for the Yazidis is the peacock, because, according to the Yazidis, “it’s the head of the seven angels.” They say the peacock was sent by God to alight on Lalish and brush its seven colors over the valley. Pilgrims rest on big stones that have been eroded into the shape of seats without armrests, just like in ancient Mesopotamia. Abdullah sat down on one of those rocky seats in order to answer a new call for help. “There’s a family on the road. I’m following their progress step by step,” he said. I met Abdullah the next day at a house he rented in Dohuk. We sat on the floor with his family. 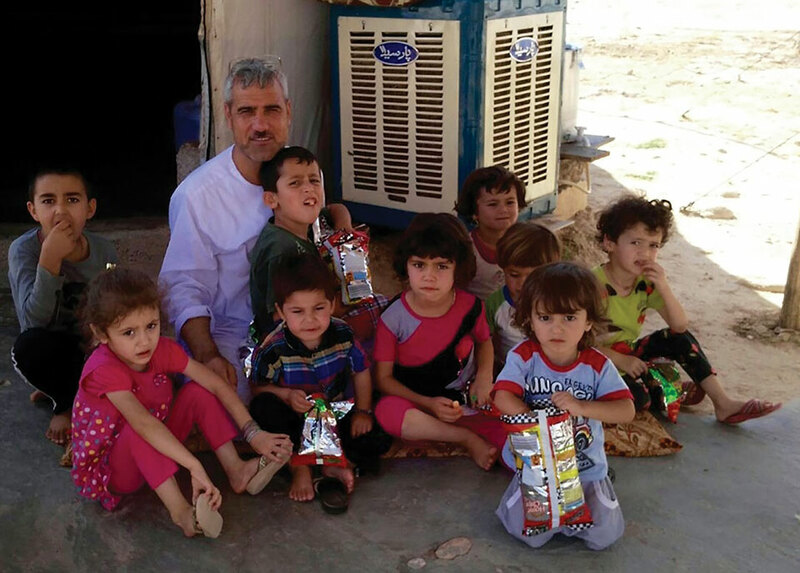 Abdullah was surrounded by kids, not only his own but also the sons and daughters of his missing siblings, as well as other kids whose fathers were missing—he was taking care of all of them. They sat around him the way elementary students gather around their teacher. “That’s wonderful. Now I have some of my appetite back,” I replied. 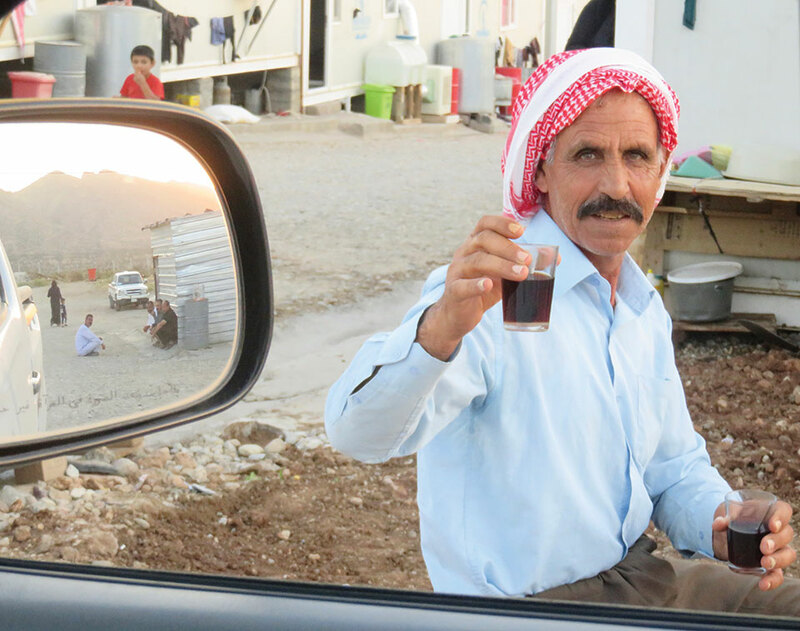 After we finished our coffee, we hurried to the Qadia camp to meet some of the people whose stories I’d already heard—but now we would meet them face to face. Abdullah unexpectedly slammed on the brakes several times during the trip, to make way for a flock of sheep. When we reached the entrance to the camp, he told me, “It’s better if you take off your seat belt.” I realized just then that he wasn’t wearing his. We headed down a dirt road leading to the camp; tents lined the road, their residents who’d survived seemed as if they were living an ordinary life—a life like any other. They were cooking outdoors, drinking tea, bathing in the outdoor baths. Some children were playing with a ball, as if they were at a picnic, just like when we go camping with our families in America. But their eyes weren’t like the eyes of others. The way they look at you: they turn back at you, as if waiting to hear some news from you, or perhaps they’re wondering how you’re going to just leave them so soon? Their eyes glitter with the evidence of everything that they’d seen. Behind the crammed tents, there is the United Nations sign and a girl jumping rope. Her feet floating upward give one a sense of emancipation. These children add movement to otherwise desolate places—but who could know the damage that had been done to their tender souls. I was ready to listen to terrifying stories as soon as I arrived and started to meet the people there. I was stunned by their willingness to offer me help rather than ask for it. Their generosity has remained, despite the change in their circumstances. I didn’t speak with a single person in the camp who didn’t insist that I have dinner with them, or at least have something to drink. “You can’t do that. We have to offer you something”—they confront you with those words even as you’re thinking about what you can do for them. These people, whose stories I’d heard over phone, are now right there in front of me, in the flesh and blood. I greet them simply, without knowing what to do next. Shush, I think to myself, don’t ask any more questions, don’t reopen their wounds—just say a few simple words, like the ones you would use with ordinary people in everyday situations. Award-winning poet Dunya Mikhail (b. 1965) was born in Iraq, where she worked as a journalist for the Baghdad Observer. 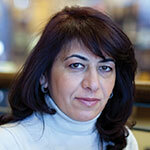 Facing increasing threats from the Iraqi authorities, she fled first to Jordan, then to the United States in 1996. Her books include The Iraqi Nights, Diary of a Wave Outside the Sea, and The War Works Hard, which was named one of the New York Public Library’s “Twenty-Five Books to Remember from 2005.” She currently works as an Arabic special lecturer at Oakland University in Michigan. 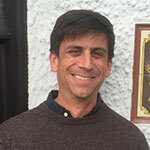 Max Weiss is an Arabic translator and an associate professor of history and Near Eastern Studies at Princeton University. His most recent book is Arabic Thought against the Authoritarian Age: Towards an Intellectual History of the Present, co-edited with Jens Hanssen. Editorial note: From The Beekeeper, forthcoming from New Directions in March 2018. Copyright © 2018 by Dunya Mikhail. Published by arrangement with the author and New Directions.